Were you able to dry some of the herbs or flowers you grew in your garden this summer? 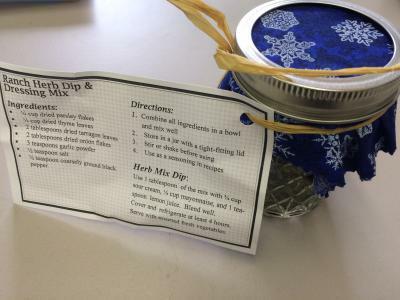 If so, there are a multitude of easy gifts you can make for the holiday season using those herbs. And if you're not an herb grower, don't worry, they're just as easy to purchase at the grocery store! 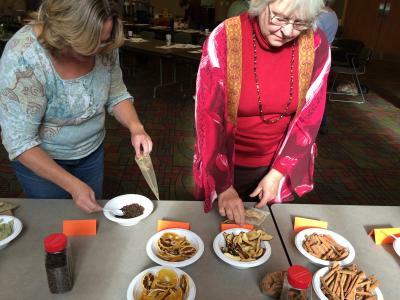 We made the following easy gifts at a recent fall gardening program. The first item is a Herbal Potpourri Sachet Bag that has multiple uses. These decorative and fragrant bags could be used as an air freshener in a car or drawer or could also be mixed with liquid and put on the stove to create a simmering blend. 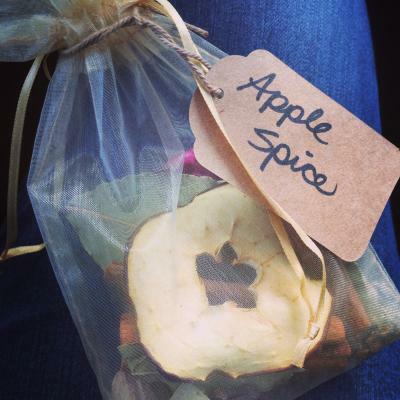 The fragrance and blend of ingredients could easily be customized to what you prefer. Add a gift tag and use it as a holiday gift or favor at your next party. The second item is a delicious Ranch Dip that is great with veggies at a party. Many of the herbs can be grown in the garden and dried or purchased at the grocery store. Mix them up and place in a decorative jar to make a great gift or favor! Use as a seasoning in recipes. ¼ cup mayonnaise, and 1 teaspoon lemon juice. Blend well. Cover and refrigerate at least 4 hours.